Sir Anthony McCoy OBE better known as AP McCoy, is the greatest jump jockey of all time. AP McCoy has recorded over 4,000 career wins – an unbelievable achievement (and he has ridden the equivalent of one and a half times around the world). He holds all of the jump jockey records for reaching career milestones in the fastest time. Due to his outstanding success and popularity, McCoy was named BBC’s Sports Personality of the Year in 2010 – the first jockey to win the award. 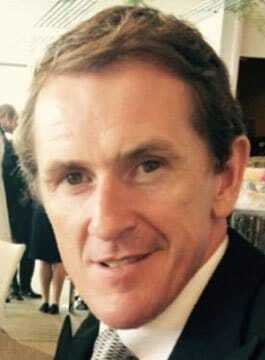 As President of the Professional Jockeys’ Association, AP McCoy enjoys public speaking; his experience, humour and personality makes him a big hit with any audience. AP McCoy is part on the ITV Racing Team and has contributed to Channel 4 Racing, The Morning Line, BBC TV, Radio 5 Live and talkSPORT radio. AP is a knowledgeable fan of all sports and has appeared on programmes such as A Question of Sport, ESPN, Setanta Sport and Soccer AM. AP’s autobiography was released in 2011 receiving critical acclaim throughout the sporting and non-sporting world. As a result of his outstanding career, Sir Anthony is an exceptional after-dinner and motivational speaker. His experience, humour and personality endears him to any audience. His stories from the saddle, his addiction to winning, his fear of failure, his drive to be the best, his determination & motivation, breaking bones over 700 times, the pressures and dangers of his sport makes for a lively and inspiring presentation.